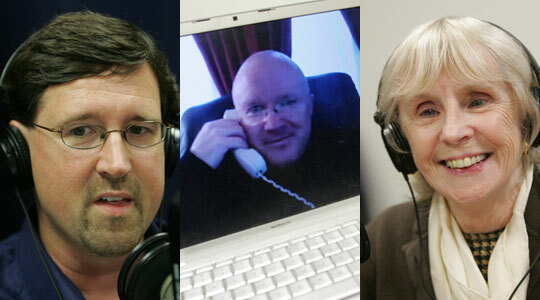 Summary of today’s show: In this week’s roundup of the news, Scot Landry and Susan Abbott are joined once again by Fr. Roger Landry and Gregory Tracy to discuss the New England bishops’ ad limina visit to Rome; the gathering for peace by the world’s religious leaders in Assisi, Italy; the papal nuncio’s admiration for the US as a beacon of hope; the Cheverus Awards for unsung heroes in the pews of the Archdiocese of Boston; new pastors and priests who who’ve died; a collection for retired religious sisters; the Pope on nihilism; and the 100th anniversary of Boston’s first cardinal. 1st segment: Susan started the week with a meeting in Worcester with the Catholic school superintendents of New England and religious education leaders to discuss the upcoming National Catholic Education Association in Boston in Spring. She also met with her religious education counterparts for New England to discuss their collaborative work. 2nd segment: Scot welcomed Fr. Roger and Greg to the show. Fr. Roger wished his goddaughter Ally, who happens to be Scot’s daughter, a happy eighth birthday. The big story is that the bishops of the US region 1, which includes all of New England, have been meeting with the Holy Father. Usually there is a lot of news and releases related to these kinds of meetings and there hasn’t been much this time. Greg said the ad limina is usually about every 5 years, but these bishops haven’t been in 7 years and it’s the first time meeting with Pope Benedict. They report on the status of their diocese, meet with the Pope, and meet with various Vatican officials. They receive the Holy Father’s concerns and encouragement for their dioceses and to share their own concerns. This is the first group of US bishops for this round of ad limina visits by the American bishops. One of the public events chronicled in the Pilot is how they kicked off the visit with Mass at the tomb of St. Peter in the Vatican. Susan said the excerpts of Cardinal Seán’s homily say he spoke about how Jesus didn’t select Peter for his intellectual capacity or organizational skills or fundraising capacity, but only asked if he loved the Lord. Fr. Roger said he was surprised there wasn’t a papal address during the ad limina. John Paul gave an address for each of the regions as they visited. Normally that’s what drives the news cycle, when he responds to what he has received from the bishops. We’ll have to wait until our bishops return to find out the results. 3rd segment: Fr. Roger dedicated his editorial this week “path to peace” on the topic of Pope Benedict’s remarks at the Assisi interfaith meeting on the occasion of the 25th anniversary of the first such meeting. Pope Benedict contextualized what the religious leaders were doing 25 years ago, by noting the fall of the Berlin Wall a few years later and he said that interreligious prayer for peace brought peace to that part of the world. He also talked of the threats to peace that threaten the world today: terrorism, especially that which is religiously motivated—not just Muslims either—as well as the violence that is done through the absence of God in places with a lack of religious freedom. Pope Benedict said we also see it in the scourge of drug use, which is an expression of the degeneration of the desire for human happiness into a craving that is exploited. Pope Benedict brought these up so that all religious people could combat these problems throughout the world. Susan said one of the hungers in the human heart is for peace. She remembers the 1986 Assisi gathering and a discussion that we weren’t coming together to pray for peace, but we were coming together to pray for peace in our own traditions. Greg said the absence of religion can be the greatest barrier to peace. Fr. Roger said it’s often agreed that St. Francis of Assisi is universally considered a saint. He’s also known as a reconciler, even going to Egypt to meet the Saladin to ask for peace. 4th segment: The new nuncio to the US is Archbishop Vigano who called the youth of this country a beacon of hope to the world. He arrives here on Saturday. Susan said it’s wonderful that he sees us as a young country that is also setting the trend in ways that he hopes will spread through the world. Scot said the Archbishop said it’s wonderful how in the US there are many communities that come together to form one country. We can take the melting pot of the US for granted, but Greg said we need to remember how in European countries that there is less diversity of culture and community. The Archbishop loves science and is interested in the intersection of science and faith. Fr. Roger said the archbishop sees in science the fingerprints of God. Fr. Roger recalled his own work in biotechnology before entering seminary and how often he saw the order of creation that points to God. The US is the real cutting edge of bioethical discussion because we have so much scientific research and someone so interested in that intersection would find the US a fascinating bioethical laboratory. The archbishop hinted that he will concentrate on religious freedom issues, especially conscience freedoms for people of faith working in science-related areas. Fr. Roger said the US bishops have formed a new committee on religious freedom to counter the recent attacks on human dignity and religious freedom. Susan asked if there’s a term for nuncios, and Fr. Roger said it’s indefinite. It’s also traditional for bishops to offer their resignation on their 75th birthday although the Pope could ask him to continue on. 5th segment: An article in the Pilot this week lists the 97 Cheverus award recipients. The Cheverus award was implemented by Cardinal Seán in 2008 to recognize parishioners who give service to their parish and the archdiocese over a long period of time. Susan noted that she knows many of this year’s recipients, including her brother-in-law, Arthur Abbott. One third of the parishes nominate a parishioner each year. The awards are given on November 20 during a service at Holy Cross cathedral at 3pm. Greg said pastors of the recipients are unanimous in their effusive appreciation of the people who serve quietly in parishes. The Cheverus award is modeled on the Marian award that Cardinal Seán gave out when he was bishop of Fall River. Fr. Roger said the recipients are often people who don’t often get many thanks or much credit for what they do. It’s very moving. It’s tough for the pastor to single out one person to be awarded each year. Fr. Roger implemented a yearly award in his own parish in which parishioners nominate from among their fellow congregants those who should be recognized for their service. Also on November 20, there will be a collection taken up for the retired religious sisters. Because so many of the current sisters entered religious life in the 40s and 50s, but they weren’t able to enter the Social Security system until the 1970s and so they have meager means to support themselves, especially as there a fewer younger sisters to continue supporting them. 6th segment: Sister Susan Frederick who has been president of Presentation of Mary Academy in Methuen for the past eight years has recently been appointed a member of the Sisters of the Presentation of Mary General Council. Susan said it was very touching in the article to read the comments sister’s students. The sadness of her leaving is tempered by the excitement of the new chapter in her life. She is Methuen native and has been a religious sister for 30 years. Also announced this week, Fr. Thomas Mahoney who was Catholic Chaplain at Mass. General has been named Pastor of St. Joseph, Belmont, as of December 8. Also in Salem, St. Thomas the Apostle had been pastored by Fr. John Sheridan, who is also the Pastor of St. James in Salem, but will now be pastored by Fr. John MacInnis, who remains Pastor of St. John the Baptist in Peabody. Scot mentioned three obituaries in the Pilot this week for Fr. Arthur DiPietro, Fr. Charles Weber, and Fr. Francis Regan. 7th segment: Scot said on Sunday the Holy Father spoke during the Angelus how the removal of Christ from our lives will cause us to fall backward to darkness. The world is plagued by nihilism which affects so many young people. Fr. Roger said nihilism means an attitude that nothing matters, that there is nothing beyond what we see and the world doesn’t have any meaning. Many people have a practical nihilism in which they act is if there is no meaning beyond the gratification of the immediate moment. Fr. Roger said tonight he is heading out to hear an address from Archbishop Charles Chaput speak on the future of the Church in the United States. He will be speaking at Assumption College in Worcester at 7pm in Hagan Hall. It is open to the public. President’s Lecture Series: Most Reverend Charles J. Chaput, O.F.M. Cap. Greg noted that tomorrow is the 100th anniversary of the elevation of Boston’s first cardinal, Cardinal William O’Connell to the College of Cardinals.